On the first day we had dressage which was all very calm and we scored 31.9, which put us 3rd in our section and 7th overall. The cross country looked a nice bold course with a few big questions, including the water jump that had been in their advanced Horse Trials only two weeks previously. Frankie and I had a great ride round on the second day, he hung a bit on the steeple chase because he started off like a lion, but by the time we got to the cross country he was quite chilled and listened to me the whole way round, coming home clear and two seconds under the optimum time. This left us in 1st spot over night in our section and 1st overall. Although I was thrilled to be lying in top spot, I found it quite stressful because I would say show jumping is our worst phase and I was only in the lead by 1 point. But on the third day we kept our cool, despite knowing that the show jumping was causing trouble for other riders. By the time it came to my turn to jump, which was last of everybody because I was in the lead, I had actually got a 6 point lead which meant I had a fence in hand. But we actually didn’t need it because Frankie popped round clear, making it feel very easy. As soon as I jumped the second last fence I knew that we were the new National Open Horse Trials Champions and I can’t put into words how it felt. Frankie also knew, he had the biggest smile on his face.Amazing!!!!!!! The prize giving, lap of honour, photo’s etc… were such a great moment. 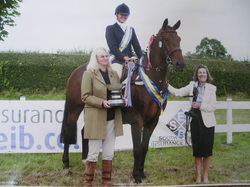 I got two sashes, two huge rosettes, a bridle and massive trophy. From start to finish he was a little star. 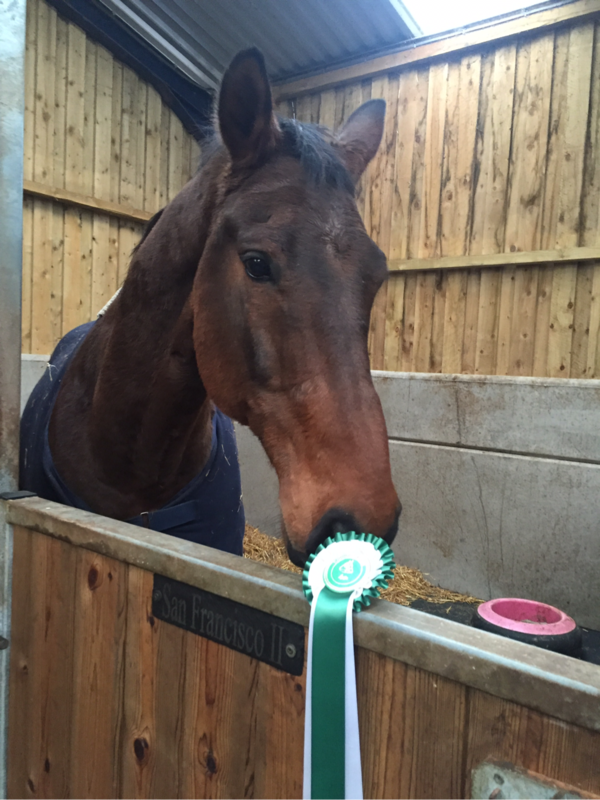 He had a 29 dressage, clear xc with 0.8 time penalties and on the third day he jumped a super clear show jumping to win his Open section, win the team event and take the best title of all “Overall Individual National Open Champion”. A very proud moment for me, as he also won it two years ago as well. 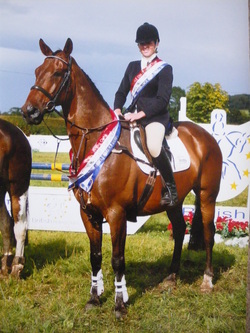 It also meant that we had 3 new sashes, another new bridle and two wonderful trophies to add to the collection.